Warning : This post contains spoilers! 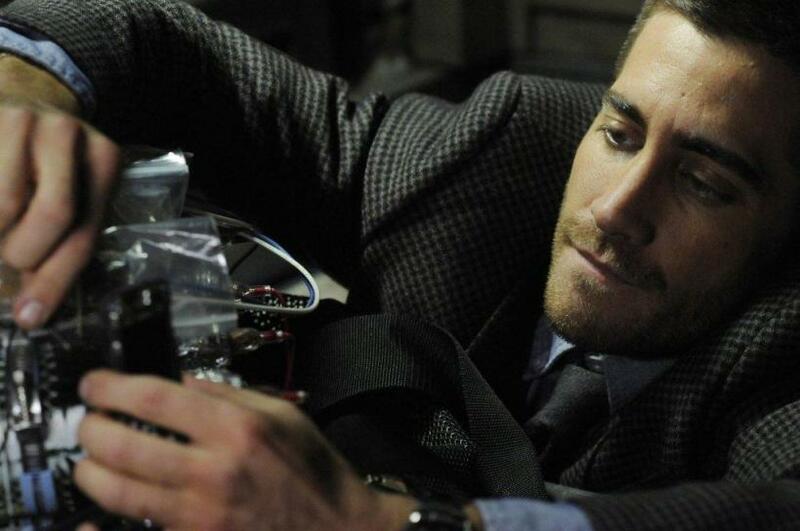 I was a little late in catching the movie Source Code which created quite a stir recently. I am glad that I did not read any reviews before watching it. Just like the movie Inception, people were either hating it or loving it. I belong to the latter category. Many people did not like the movie because it did not make any sense to them. And I don't think I can really blame them. It is hard to understand about parellel universes or alternate realities, which was explained quite briefly in the movie. In fact, I don't think I am smart enough to really understand completely anything that has to do with Quantum Physics! 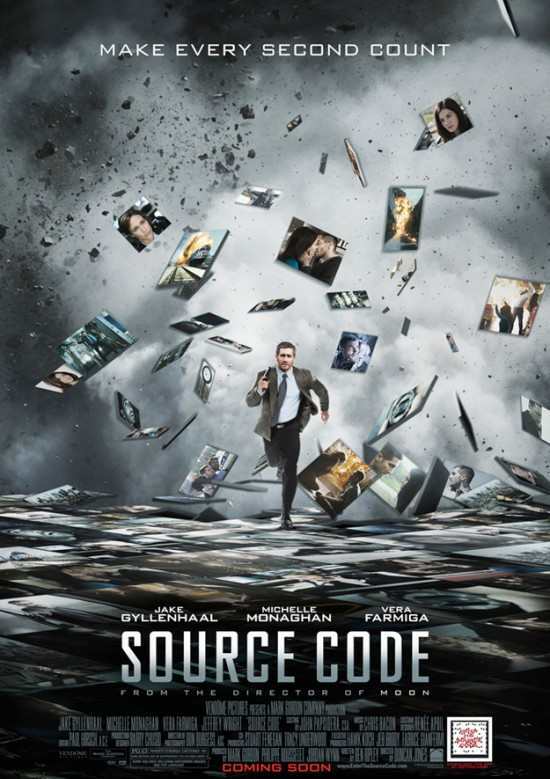 But first, a little about the movie Source Code. 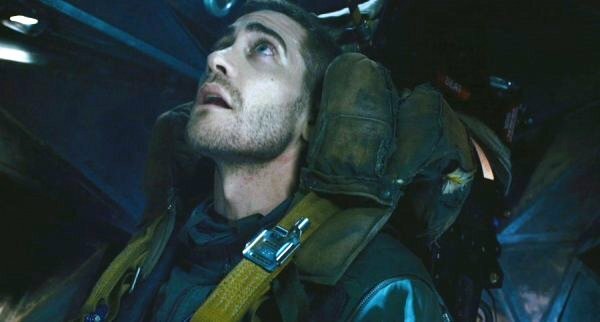 It is basically about Colter Stevens (played by Jake Gyllenhaal ) an American Army helicopter pilot who woke up on a train and discovered he had assumed the identity of another man named Sean Fentress. Before he could learn more about himself, the train exploded and he found himself in some kind of pod where he soon learnt that he was in a project to save Chicago from a bomber via a program that enters him into alternate realities. This is as brief as I could get. For the full story, read HERE. The movie got me engrossed right from the beginning all the way to the end. The way the story developed each time Colter enters a different reality was really interesting. Character development was also executed perfectly and I really think the actors and actresses did a great job! 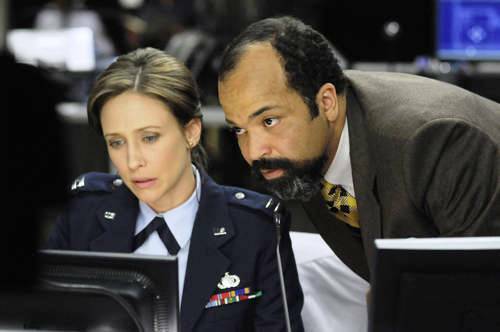 I particularly like Vera Farmiga as Colleen Goodwin, the mission controller. Her facial expression was excellent and her acting very believable. 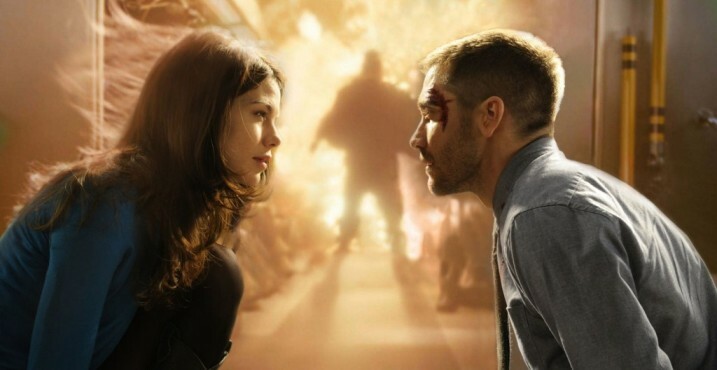 Michelle Monaghan who played Christina Warren, Colter's love interest, was very natural and Jake Gyllenhaal was totally warm and compelling in his role as Colter. The only problem with the movie is the inability of the audiences to fully understand the plot. Or to be more exact, the scientific theory behind it. My friend who watched this movie with me thought the Source Code is a simulation device. It is not, as told by Dr Rutledge (played by Jeffrey Wright) to Colter at one point in the movie. This is not Matrix or Avatar. A lot of people thought this is about time travel and that Colter was travelling back to the past to uncover who the bomber is. Again, this is NOT correct. There is no time travel involved at all. If it is time travel, Colter would have gone back to the past and changed history. But he could not and did not. Those people who were killed in the train were still dead and even after he prevented the bombing and saved everyone towards the end of the movie, they still remain dead. 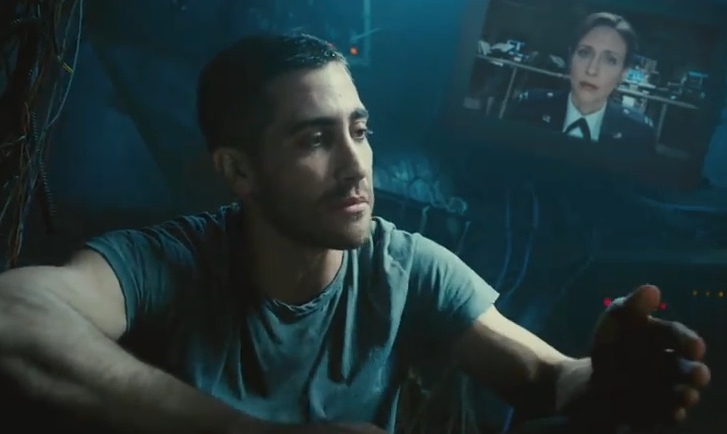 Source Code is all about parellel universes or alternate realities, a mind boggling topic even for the most educated and intelligent amongst us. If you go into the cinema with absolute zero knowledge about this topic, you will have a hard time trying to make sense of it all. Consequently, most people will come out of the cinema saying the plot is unbelievable or ridiculous or even far-fetched. Luckily for me, I was exposed to this topic of parellel universes a few years ago. Thus, I think I was a bit more successful in making sense of the movie and more accepting of the storyline. So what exactly are parellel universes? 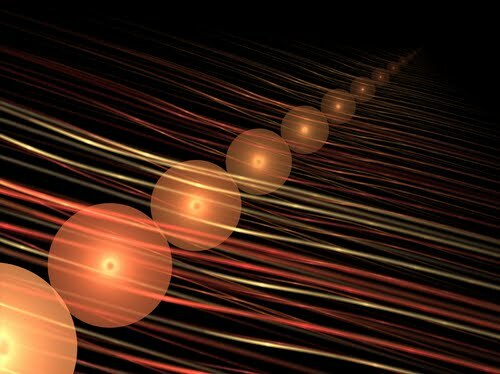 If I am not mistaken, Quantum Mechanics defines parellel universes as universes that are separated from each other by a single quantum event. I am definitely not an expert but this is what I understand from my limited knowledge about parellel universes. It would seem that there is an unlimited universes or realities co-existing with our present reality. All the universes are happening in the moment of NOW. Do I make any sense here? Simply put, whatever choices you make defines your present reality. In another reality, you will be making a different choice which leads to different pathways or consequences. For example, you are reading this post now. You decide to leave a comment after you finished reading. This is your present reality. In another reality, you are reading this post and decide not to leave any comments. Your actions in both realities will lead to different consequences which will lead to more decisions to be made later which will play out in yet many other realities or parellel universes. In other words, all the different pathways you choose are already happening all at once, but in different realities. Mind boggling? Absolutely. Back to the movie Source Code. OK, this is my take on what actually happened. I may be wrong here and this is of course, open for discussion. In the very beginning before the movie even starts, there is this man named Sean Fentress who got onto a train and a bomber blowed up the train, killing him and all the passengers inside. The crazed bomber planned to continue with a second bombing. To prevent this, the Government or the authorities needed to find out the identity of the bomber. They enlisted the help of Dr Rutledge who is the inventor of Source Code, a program that can place someone's consciousness into another during the latter's last eight minutes of life at a different reality. Dr Rutledge and his team discovered that Colter Stevens who supposedly died in a war, was most suitable to take over Sean and therefore, they kept him alive (or at least his brain alive) and connected him to the Source Code. Colter was sent to a different reality each time to progressively identify the bomber. As you can see, all the different realities were almost the same but with some events changed because Colter took a slightly different action in each of them. Basically, he was just jumping from one parellel universe to another. In the process, he fell in love with Christina Warren, a passenger in the train. Finally, he found out the identity of the bomber and informed Colleen and Dr Rutledge. With the information, the bomber in this present reality (which I shall call the Original Universe) was tracked down and caught, thus prevented a second bombing. Dr Rutledge decided to erase Colter's memory so that he could use Colter again to help with another case. But Colter himself wanted to die, so that he is free to go to the alternate reality to save Christina and the passengers of the train and live happily ever after in that reality. He managed to convince Colleen to help him. So Colleen pushed the button and Colter died in the original universe but lived happily in the parellel universe. And the movie should have ended there and then and I would get out of the cinema happy and satisfied. But no, they had to come out with a twist at the ending and that's where I started to get confused. In the last part of the movie, Colleen received a text message from Colter on her phone. Now a text message sent from a parellel universe cannot possibly reach the original universe. So I figured that the last scenes in the movie are actually showing Colleen in an alternate universe, the same universe where Colter is already living happily, having saved Christina and the passengers in the train! And because in that universe, the bombings did not happen and no one died, that means the Source Code had not even been used yet! Yet, how come we see Colter's body there and connected to the Source Code? He's supposed to be alive in that universe! But of course I forgot! Colter's consciousness was already in Sean Fentress so the person who saved everyone on the train was actually Sean but with Colter's consciousness! In other words, Colter has two consciousness in that particular universe, one in Sean and the other in his own body! Astounding! I hoped I figured it out correctly. But I may be wrong so if you have a different idea, do share with me here. There are still a few unanswered questions. One, why did Christina's face glitched in one of the scenes? She is real and alive in that particular universe so why the glitch? This is not a simulation! Two, why and how did they choose Sean for Colter's consciousness to go into? There are so many other passengers in that train they could have chosen. Three, why did Colter felt cold in the pod at one point in the movie? Besides, the pod is not real, but only what his consiousness sees. Still, I enjoyed this movie tremendously. I'm rating it 8.5/10. Entertaining and absorbing, with an ingenious plot and superb acting all round. A movie you cannot afford to miss!